Things in our lives — phones, homes, cars, clothes — come and go. Who we are as people, however, is a bit more permanent. Funny thing is, the less aware we are of this being, the less control we have to even alter it. Today I’ll explain exactly what I mean. 2:03 Today's Topic: Who You Are Matters More Than What You Have 3:35 Point I: Everything and anything that you have that you can touch will all go away. 5:12: Who you are can never go away. 6:46: Point II: We value what other people have because it's easy to see it on the surface. 7:28: It's easier to acquire things than it is making ourselves more valuable. 8:56: No human being can act for long in a way that is incompatible with his or her self-image. 10:16 Point III: It's not what you do but it's who you become in doing it. 14:01 Recap Dre’s book Work On Your Game: Using The Pro Athlete Mindset To Dominate In Sports, Business and Life can be ordered at http://WorkOnYourGame.net/Order. 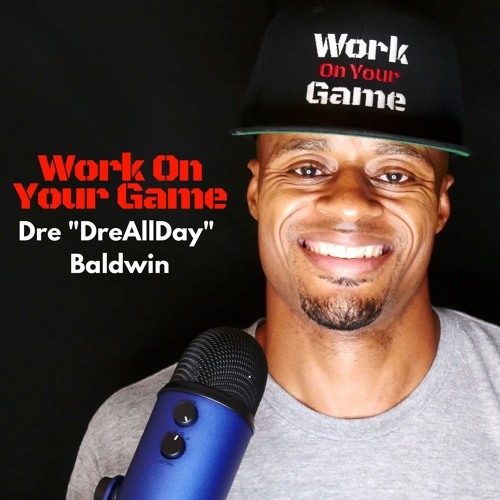 The Work On Your Game podcast covers every aspect of Mental Toughness, Confidence and Discipline with 9-year pro basketball player and author of 22 books on the Mental Game of sports and life, Dre Baldwin. Work On Your Game Podcast on: Apple Podcasts | SoundCloud | Spotify | Stitcher | Google Play | Overcast | Pocket Casts | Blueberry | Player.FM Comment on this episode! https://dreallday.com/1020-who-you-are-matters-more-than-what-you-have-woyg-podcast/ Show notes, comments and links for all episodes can be found at http://DreAllDay.com/Podcast Direct mp3 download: https://soundcloud.com/drebaldwin/1020-who-you-are-matters-more-than-what-you-have Interested in sponsoring Work On Your Game? Access our media kit at https://DreAllDay.com/podcastsponsors/ Learn more (much more!) about Dre - basketball career & Guides, Programs, Speaking - at his website http://DreAllDay.com. Find Dre on social media: Instagram & Snapchat @DreBaldwin Twitter @DreAllDay Be sure to SUBSCRIBE to have each new episode sent directly to you daily!